The brief given to Sprout was to create a beautiful landscape in front of the Jasmyn Residence at the University of Pretoria. 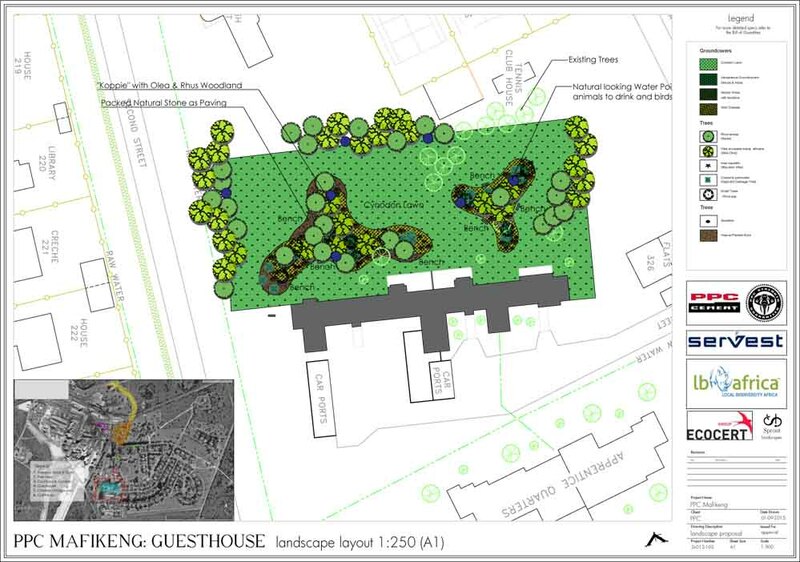 It was requested to link up to the existing walkway running past Klaradyn residence and to create an “Area of Well-Being” where students could sit, relax and recharge in an outdoor space. The Jasmyn building was recently refurbished and the contractors left a very dusty and barren landscape in their wake. The landscape design proposed a series of retaining walls to create comfortable levels to move through and this meant that a handful of trees needed to be removed. Removing a tree on any UP campus is no easy task and a detailed report including image and description of each tree needed to be signed off by three different departments. Fortunately 52 new trees were included in the design. The Arcade building situated between Jasmyn and Klaradyn is sculptural in its curved shape and the idea was to highlight this through mirroring the curved form with the pathway. A berm along the fence creates height as well as a sense of security and enclosure for students walking along the path. The open lawn area is a space where people can gather and provides an opportunity for a variety of uses. The retaining walls were kept linear to communicate with the building and frame the curving pathway. Furthermore the design aimed to soften the building façade through introducing curves in the shapes of circles and ovals in the landscape as well as making use of decorative steelwork in the form of an arch and trellises. The trellis is attached to the structure over the entrance walkway and includes the letter ‘J’ to add to the sense of ownership and identity the students feel during their stay here. Three types of Jasmine species were included in the design and the idea is that there will be the delightful smell of Jasmine welcoming students as they enter the building. 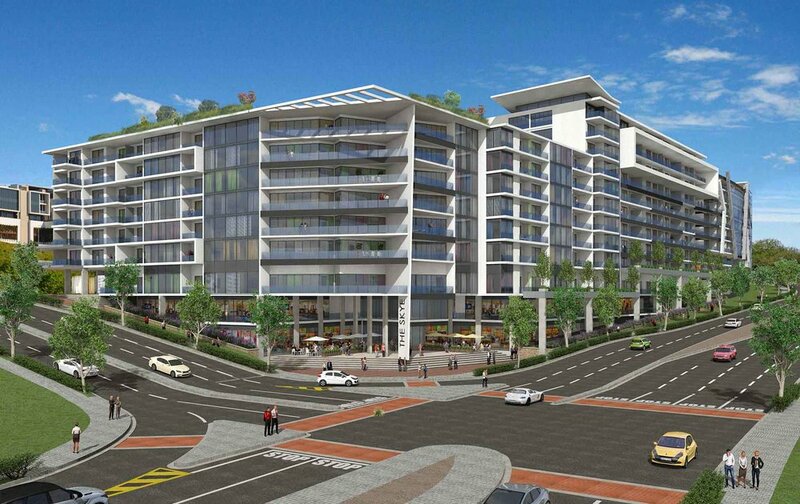 Landscape Development Plan for commercial development in Brackenfell, Cape Town. 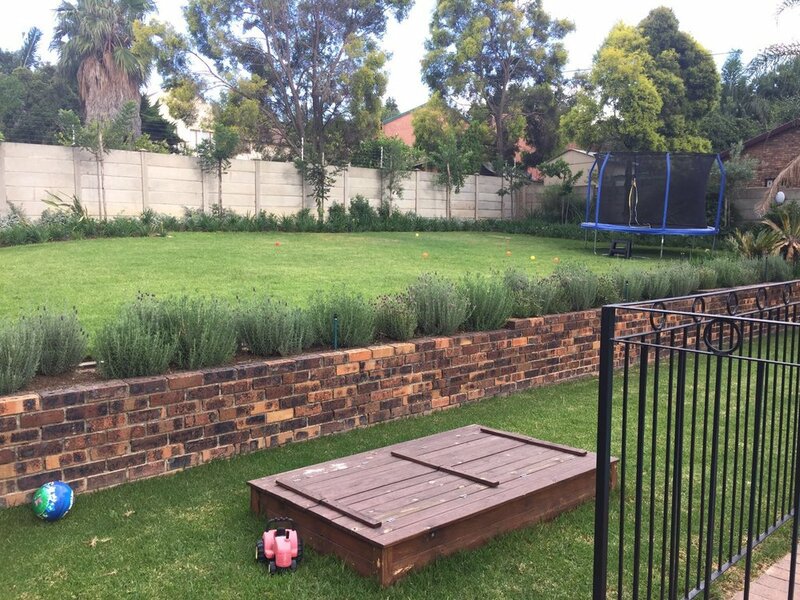 Together with Servest Landscaping a site in Waterkloof Heights in Pretoria was recently upgraded from a dreary and uninspiring outdoor space into an indigenous haven inviting you outdoors to explore and enjoy. The garden has an upper area where the house is situated and a lower area consisting of historic stone walls with a few very special large trees. This area was never utilised as it was overgrown and the upgrade has allowed access to this area with pathways and highlighted the trees as a focal point through the addition of a boma at their base. The view from the patio was obstructed by trees and the garden was a mix of old exotics and self seeded invaders. Sprout's design encouraged the use of indigenous plant species to give a natural effect and consists of indigenous grasses inter-planted with flowering perennials as well as mix of seeded annuals for extra colour. Focal plants such as Strelitzia reginae, Aloe marlothii and Aloe barberae were used to add height and visual exclamation marks. As the garden grows and matures Servest will continue to nuture it into a special and rewarding outdoor space through their maintenance contract with the client. A landscape design was recently completed for a newly constructed modern house located in Sandhurst. The client requested a colour palette of blues, pinks and purples. A cottage-style theme was proposed with plants that are 'soft', consisting of a flowing mix of flowering perennials that is repeated through the garden. Incorporated with this will be areas planted with vegetables and herbs. The client procured Leopard Trees which will grow quickly and create screening from neighbours while conifers will also be used for their verticality and height. Certain areas will be designed at a later stage once they are settled in their home by a family member knowledgeable in gardening. Vanilla Guest House is a lovely boutique guest house currently under construction and opening towards the end of 2016. The challenges for this design included a narrow driveway and entrance area with the requirement for several parking bays as well as creating a softer and greener parking area. Three design options were presented to the Client and the one where the parking bays were at an angle to the retaining wall was the one that was most favoured. 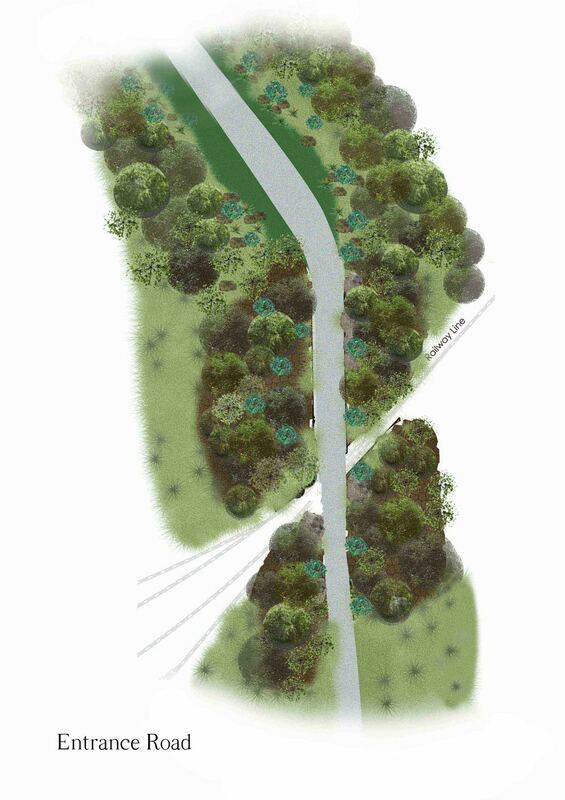 Several exotic trees were removed, large existing trees retained and the proposed design includes planting new indigenous trees including Olea europaea subsp. africana (Wild Olive), Heteropyxis natalensis (Lavender Tree) and Buddleja saligna (False Olive). The plant palette is mainly indigenous using a few exotic focal plants like Cycas revoluta. The owners of this guest house have a passion for the environment as well as for people so I have no doubt this will be a welcoming venue that people keep returning to. 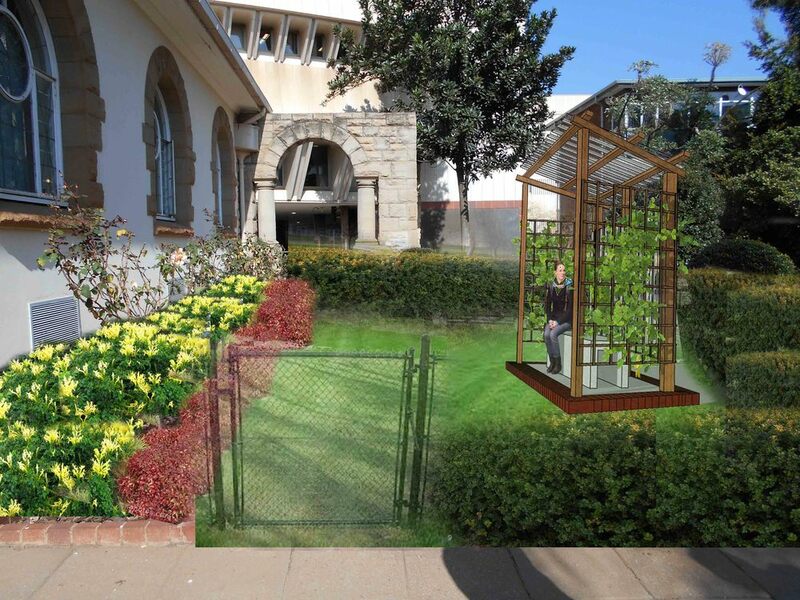 This project includes a small vegetable garden and play area for a nursery school at Stats SA in Salvokop, Pretoria. Artificial Lawn will be put down with play equipment to follow. The vegetable garden also consists of various herbs and sensory plants for the children to enjoy. Olea 'Mission' trees together with Rosemary bushes will create a screen along the fence. Construction planned to commence in February 2016. 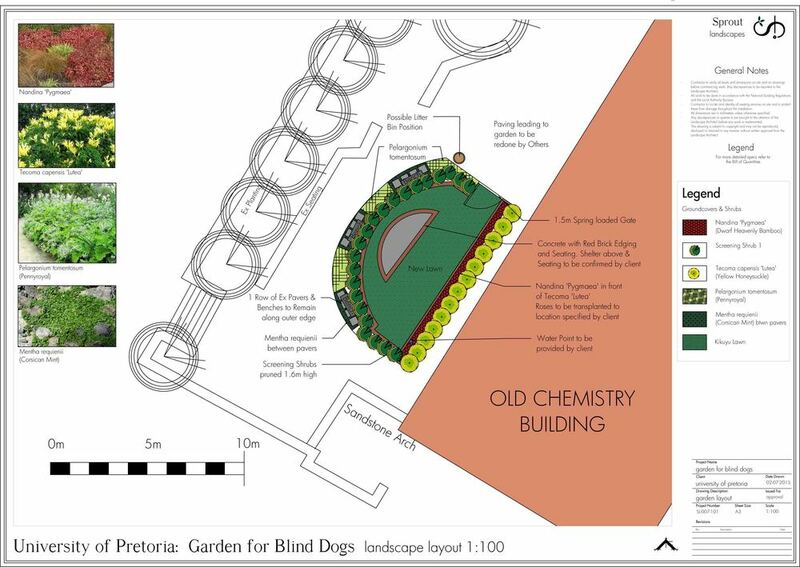 I was requested to design a garden that is specifically for people who are visually impaired where they can let their dogs off their leashes and give them a drink of water. The Client underwent research to find out exactly what was required and this included: an area of lawn, drinking spot, bench that is sheltered from the elements and the area needed to be enclosed so that the dogs would not escape or bother other people. This project is close to my heart as it was done as Sprout’s first installation for a wonderful family who I got to know better during the landscape upgrade. The original garden consisted mainly of lawn and large conifers with a few palm trees and randomly placed shrubs. The client bravely removed all of the conifers and a few other trees that were in awkward locations. A retaining wall was built and a new fully automatic irrigation system was installed. The garden beds were defined with cobble edging and large flagstone pavers were included as a garden path through the planted areas. New indigenous trees and screening shrubs were introduced including Combretum erythrophyllum, Harpephyllum caffrum, Vepris lanceolata, Buddleja saligna, Rhamnus prinoides, Dodonea angustifolia and Tecoma capensis. Groundcovers included an edging of Agapanthus nana White and feature areas filled with Hemerocallis, Kniphofia and Felicia. The transformation of the garden is significant and as the garden matures and flourishes I have not doubt it will be greatly rewarding. The proposal for PPC mine in Mafikeng was done together with Servest and Local Biodiversity Africa. The approach was to rehabilitate large areas of the site to reinstate not only the specific biome of the region, but also the local vegetation type. The design aimed to recreate 'koppies' as found in the area and plant these up with tree clusters of endemic tree species. 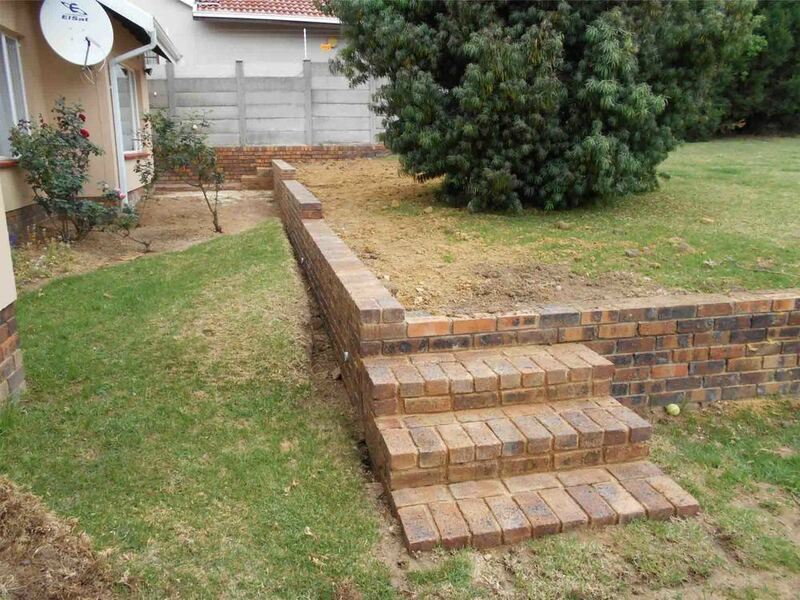 This project is an existing, large residential garden in Northcliff. 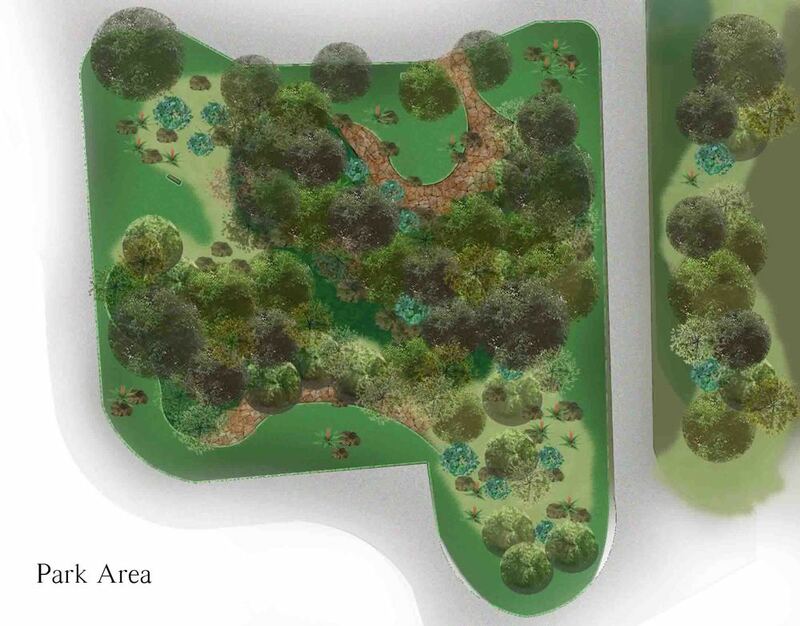 The proposal included a new layout with plant species that would work for the different 'rooms'of the garden. Each area was relooked at and suggestions made to revitalise and give it a fresh look. A new development in Louwlardia with Coffee Shop and Factory required a landscape development plan for council submission. An indigenous plant palette was used in order to save on water requirements as well as maintenance. The Coffee Shop leads out onto a timber deck where there is an area of lawn with play equipment for children.